Born and raised in Nottingham, Adam has a growing fascination with the weather which started when he was 11 as a result of playing outdoor sports such as cricket, golf and football. 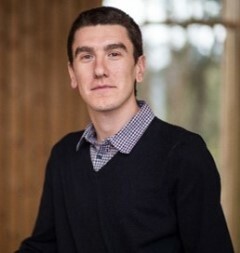 A 2015 graduate from the University of East Anglia with a BSC in Environmental Sciences, and a regular member of the Royal Meteorological Society East Anglia Centre meetings during his university career, eventually lead to him becoming an operational forecaster at Weatherquest since July 2015. Adam's keen interest in meteorology, climatology and forecasting extends to keeping his own weather records since 2009 from his back garden weather station in Nottingham. At A-Level he used his data, along with another close by dataset, to study if Nottingham had an urban heat island surrounding it. Adam's other interests include space, planes and supporting his local football team, Nottingham Forest, where he has also worked since 2010. When coming to the UEA in 2012, he also worked for Norwich City FC which gave him enough experience to work at other events for a crowd management company. His main interests in weather include storms and all things clouds which have led him to set up his own website and weather page on Facebook, where you can view some videos and photos of clouds, weather phenomena and thunderstorms he has experienced in his lifetime.